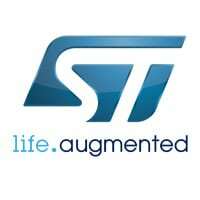 PARTNER NEWS: STMicroelectronics has introduced a new range of dynamic tag chips that combine NFC technology with pulse width modulation (PWM) logic to enable a wide range of appliances to be set up or fine tuned at home, in the field or in the factory using either an NFC phone or an ISO 15693 RFID reader. Geneva / 01 Oct 2018 — ST25DV-PWM NFC Dynamic tags from STMicroelectronics introduce an innovative contactless way to program presets for products on the production line or in-situ, and simplify setup or fine-tuning at the point of use. The Dynamic tag ICs target all applications featuring PWM (Pulse Width Modulation)-based controllers, such as lighting products, motorized appliances, fans, and thermostats, using an ISO15693 RFID reader or NFC-enabled smartphone or other mobile device. Combining ST’s proven NFC technology with PWM logic for the first time, the dynamic tag ICs generate control signals using an embedded pulse-width/period mechanism based on settings received via the (NFC Type 5 and ISO/IEC 15693 compliant) RFID interface and stored in on-chip EEPROM. The PWM outputs work as soon as the PWM block of the device is powered up, and operate independently from RF activity. To provide further convenience, the PWM configuration can be modified via the NFC interface on the fly, while the device is operating. Two variants, the ST25DV02K-W1 and ST25DV02K-W2, give a choice of single or dual 4mA push-pull PWM outputs for dimming control of up to two LED lights or adjusting the speed of up to two motors independently. The high-quality, high-precision PWM generator has pulse-width resolution of 62.5ns, equivalent to 15-bit resolution at the lowest frequency of 488Hz and 9 bits at the 31.25kHz maximum. The operating temperature range is from -40°C to 105°C, and the tags don’t require any external oscillator or other components except a power supply decoupling capacitor. PWM parameters can be updated via the contactless interface at any time during manufacturing, distribution, installation, or maintenance process. As other ST25 family members, the ST25DV-PWM Dynamic NFC tags provide multiple features for protecting assets and data, including the TruST25™ digital-signature mechanism for authentication. In addition, independent 32/64-bit password-protected domains prevent unauthorized access to the tag’s EEPROM. Two different package types are available, presenting a choice of TSSOP-8 or SO-8. Samples of the single-output ST25DV02K-W1 and dual-output ST25DV02K-W2 are available now, priced from $0.37 and $0.45 respectively, for orders of 1,000 pieces. Please visit https://www.st.com/st25dv-pwm for further information.